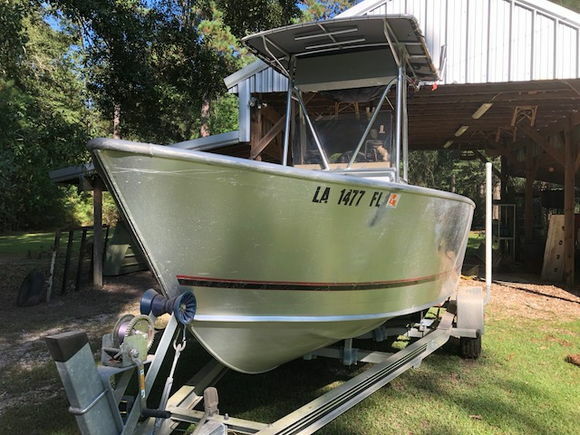 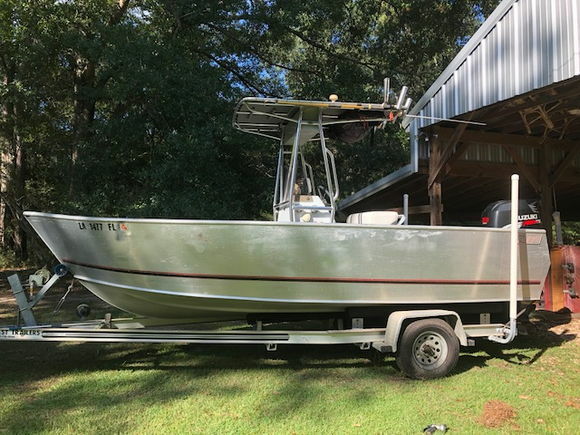 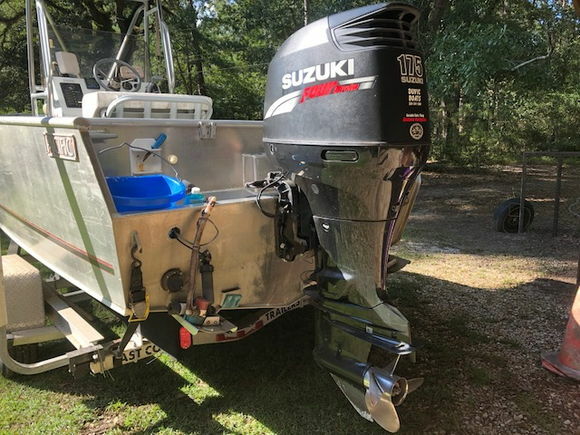 boat is located on the trailer at my home in SE LA (hammond). 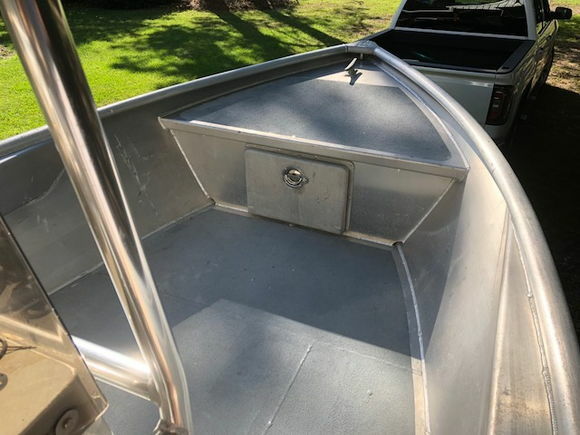 -cosmetically, this boat reveals that it has been used and used often (we have seen & done some Doo-doo together). 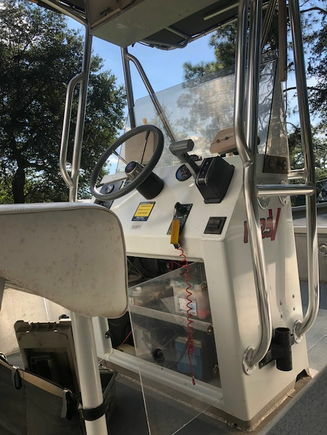 there are many scratches, dings, and rough spots on the outer hull. 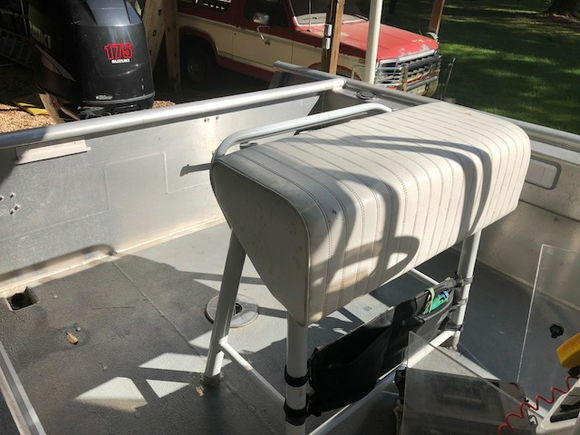 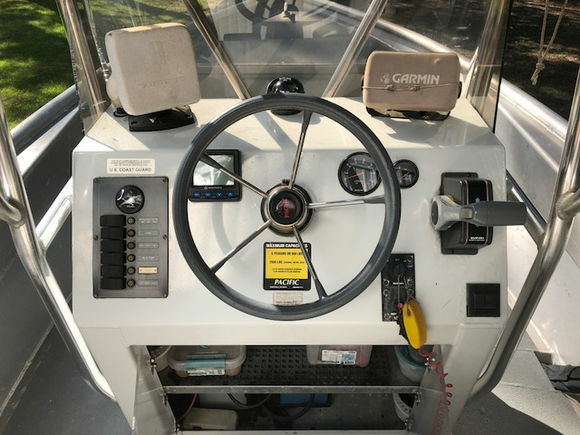 as rigged this boat is one of a kind, and is the only 19' with a 175 that the builder is aware of. 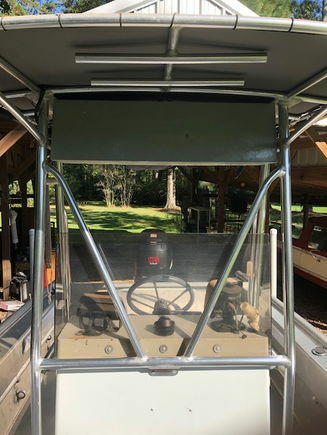 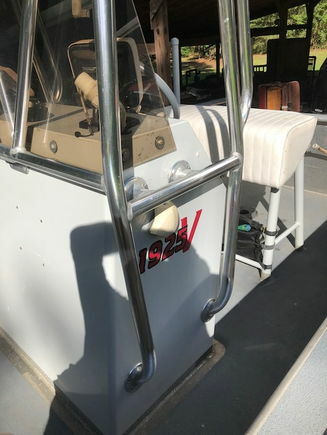 as-is price is $33,500.00 and a buyer at the price will also receive every bit of rigging, tackle, tools, etc that he cares to take.